If you have come to this page you are a business that may be looking to have more campers and caravanners come your way. If that is the case we can definitely help you. 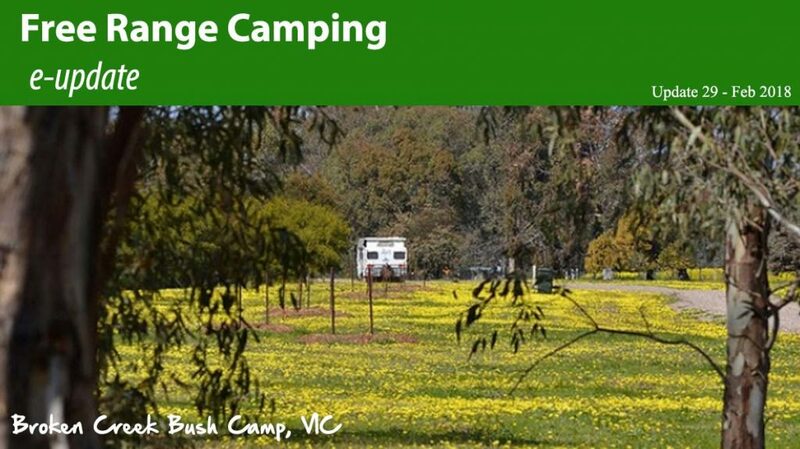 Free Range Camping began its life back in 2013 as a simple web based directory aimed at providing caravanners and campers with a comprehensive directory to assist them to find campsites and RV related businesses as they travel. We now strongly support RV related businesses throughout regional Australia. There are two ways you can list with us at Free Range Camping. The first is Free – all you have to do is register and we will set up your access so you can log in and complete the listing yourself and take advantage of all the benefits of doing so. To Register your interest click on the link below, fill in the registration form and one of our staff will be in touch to assist you with the process. The other way to list is with one of our Done For You (D4U) listings. Designed for businesses that may not have time to create, update or manage their own listing. For a once-off fee, one of our staff can assist with your listing and do it all for you. Our D4U service also has added benefits including distribution in our newsletters, extra images, listing management, and access to our premium club benefits. How we let our members know about you. By using a combination of Social Media channels including Facebook, YouTube and Instagram, as well Newsletters and our extensive email list, we make sure to let our members know about you. And they want too, because they are always looking for Places to See, Things to Do and Essential Services as they travel. 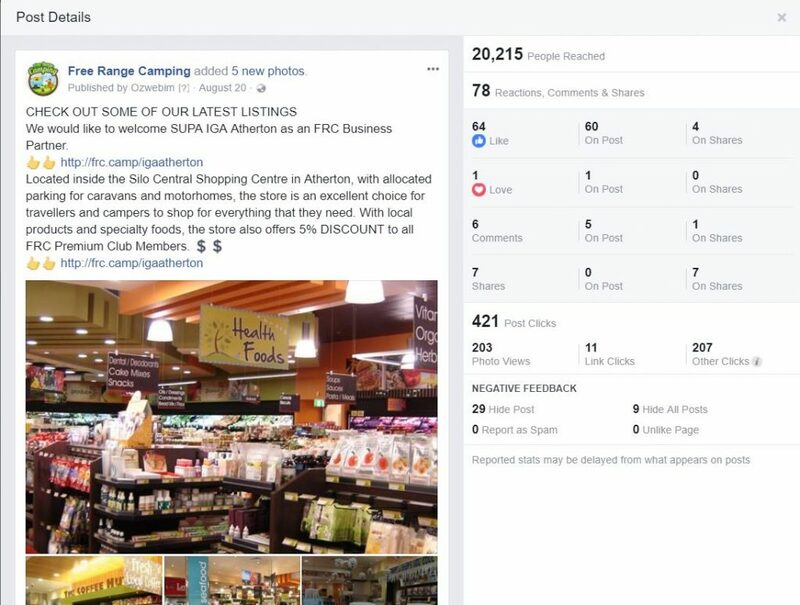 The popularity of Social media is ever increasing and, in the camping and caravan world, is used often to stay in touch and let others know of great new campsites or businesses they have found. You can take advantage of the Free Range Camping following we have amassed via our Facebook page, which currently has over 119,000 followers and is growing daily. We constantly engage our audience and find that some of our posts have had phenomenal reach. When teamed with a short video clip they may reach thousands of followers and let them know about your site. Another method we use to spread the word about your business is via our newsletters and e-updates. They are published on a regular basis and sent directly to over 71,000 Free Range Camping registered members. In each of our newsletters, we include links and/or feature images of the latest businesses that have listed with us. With an open rate of 30% , double that of the average open-rate, our newsletters are an effective way to communicate directly with our members know about your business. While photos are an important way to showcase your business, we are finding our videos are also hugely successful. Just a short 1 to 2 minute video made from a mixture of images and subtitles can showcase your business to our members in a way which engages them. The video can be embedded into your listing and is available on both our free online website and the FRC App. They can also be used in other forms of social media, including your own, to gain widespread exposure of your site or business. 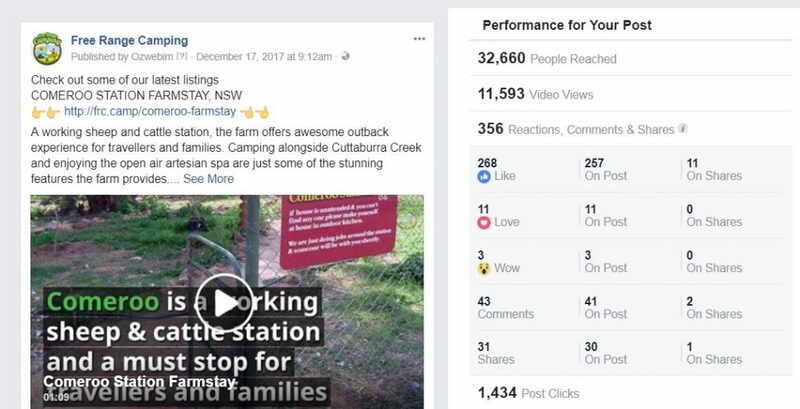 For example, one of our recent videos promoting a campground has received over 11,000 video views and reached over 32,000 people. If you wish to know more about how we can assist your business, including statistics or a copy of our media kit, please feel free to contact us direct on [email protected],com.au or via the link below.